Hello, and welcome back to the rebooted #WorkflowThu series. 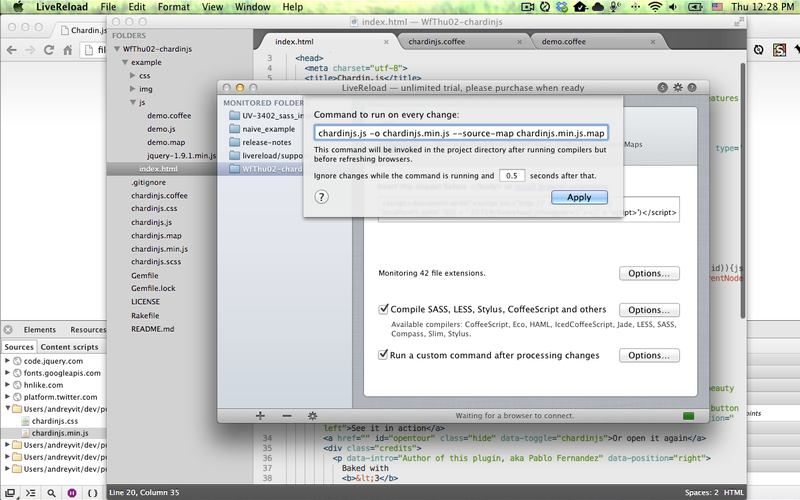 Today we’re going to see how ridiculously easy it is to debug CoffeeScript files with source maps. Watch the video (07:14) or read the article below. 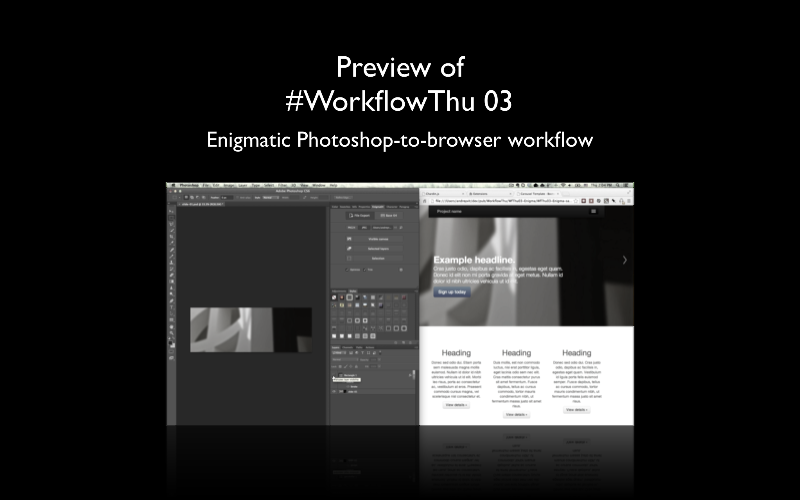 Subscribe to #WorkflowThu if you don’t want to miss future screencasts. 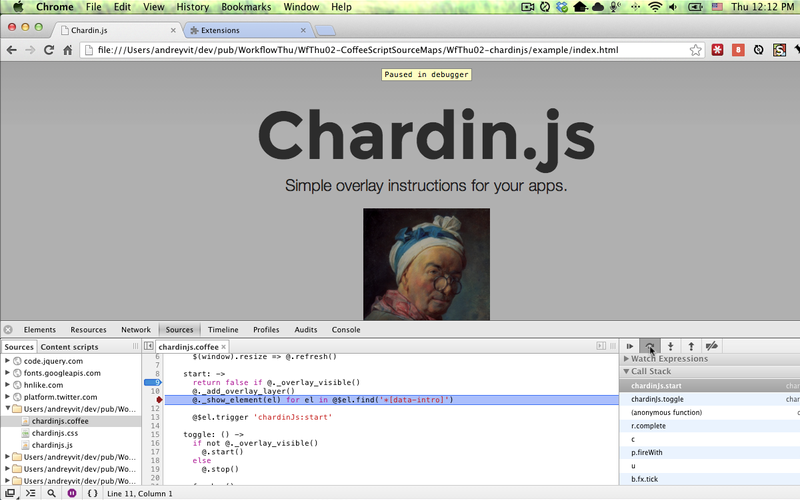 Thankfully, now we have a tool to deal with that, at least in Google Chrome. Let me show you how. 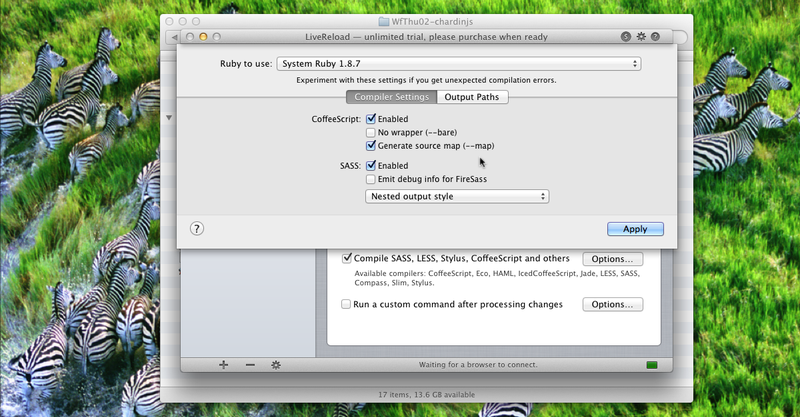 We need to change CoffeeScript compiler options to generate a source map. I’ll be using LiveReload here because, you know, I’ve made it, and also because it’s a very simple app. 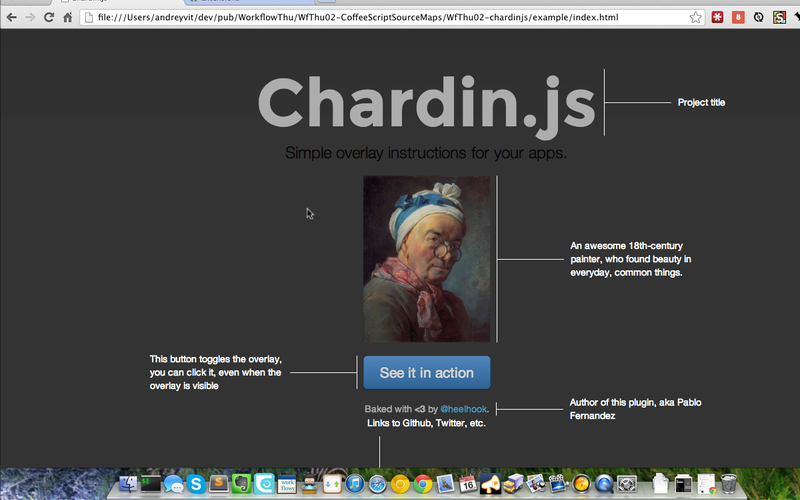 But pretty much every similar tool will support source maps soon. If you’re running a web app server like Rails, Django or Node.js, there is an additional step for you because you need to make sure that the map files and CoffeeScript source files are exposed to the web browser. 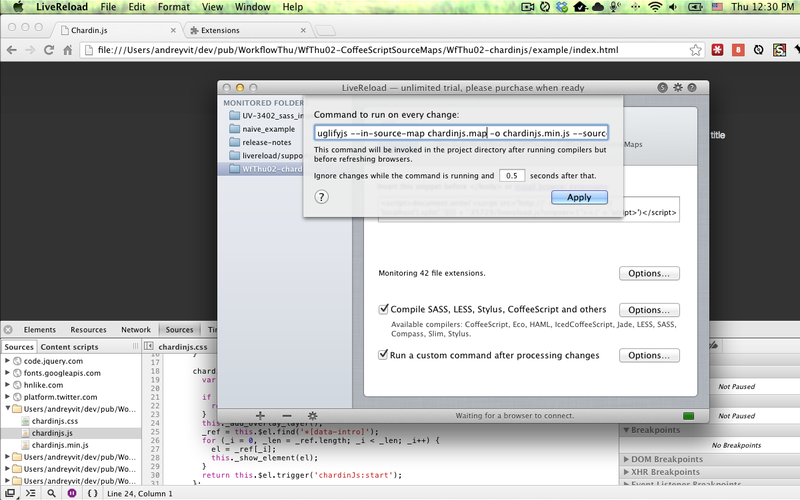 Rails apps can use coffee-rails-source-maps gem, otherwise Google for your framework name plus “source maps”. For most PHP apps and static designs files, however, the steps described above should be enough. Second: You need a recent version of LiveReload; I have v2.3.26 here, which is available both on the Mac App Store and on the support web site. Let’s now minify the library, but still keep the mapping to the original source lines. We’ll be using Uglify version 2 for that, which I already have installed (it’s as simple as sudo npm install -g uglify-js as long as you have Node.js). Not very promising for debugging, is it? We can fix it, though, in two easy steps. 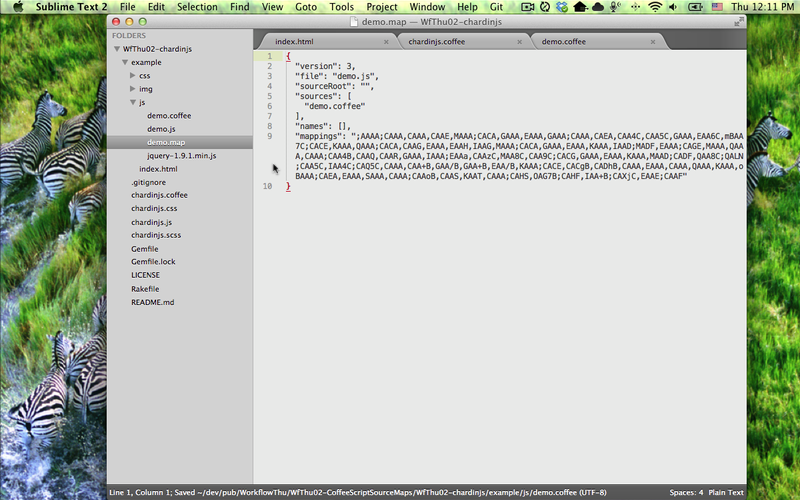 So that’s source maps in CoffeeScript. Yes, you should be using them; it’s ridiculously easy, and you basically have no excuse. 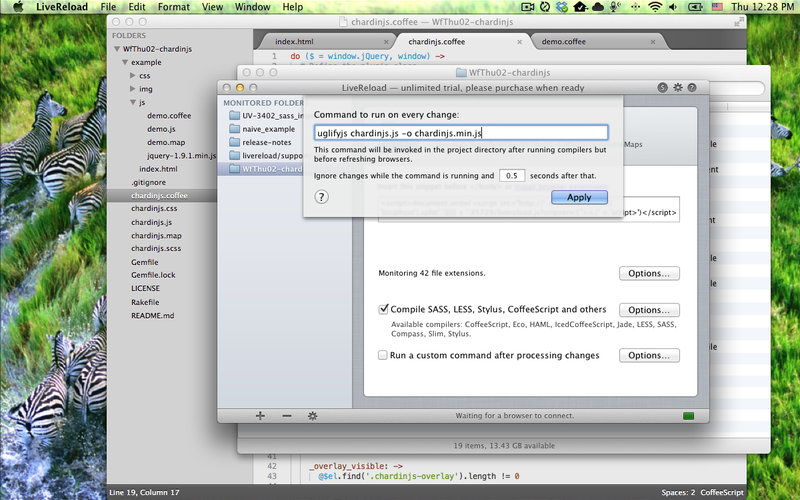 Now, the minification workflow we saw is a nice way to debug an occasional production issue. I still don’t think it’s a good idea to use minified files during development, at least not until all your target browsers support source maps. Right now only Google Chrome and WebKit Nightlies have the support; hopefully Firefox will join the bunch soon. As I’ve mentioned, this series is resumed and will continue for a while. In the next installment, I’m going to show a ming-bogging images workflow involving Photoshop, Enigma64 and LiveReload. Note: I promise there will be episodes that don’t feature LiveReload. :-) I will obviously mention my products often, but the series is focused on using hot / new / frequently-asked-about technologies in everyday work, and not on any specific products.